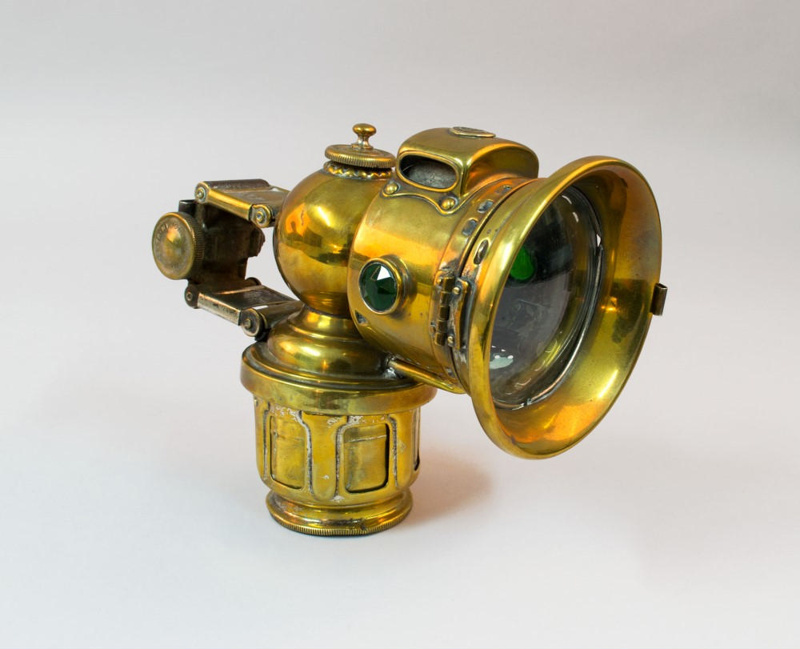 Brass carbide bicycle lamp. Brass carbide bowl, water bowl on top of carbide bowl. Glass front lens with wick behind. A round window on either side of light casing with emerald green glass. Trade mark "King of the Road" on top of the heat vent. On the back side of the heat vent is the No.326 along with "JOSEPH LUCAS LIMITED, BIRMINGHAM" engraved. A metal hinge attaches the lamp to the bicycle. Brass tightening screw with the words "JOS. LUCAS LTD. BIRMINGHAM" written on it.